National Coach Hire has been dealing with last minute bookings for many a year, it is not a new thing for us to have arrange coaches right at the last minute due to your current providers letting you down or perhaps a last minute meeting that requires 200 delegates at the other end of the country. 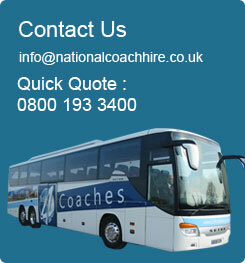 National Coach Hire are never fully booked and we can choose from a vast range of suppliers to provide your next coach hire trip. Knowing how the industry works we are well placed to provide transport at a minutes notice, we know where to go for availability but more importantly we know where to go to get the best prices and the right level of service. If you have a last minute request contact us now on 0800 193 3400 and we will do the rest.